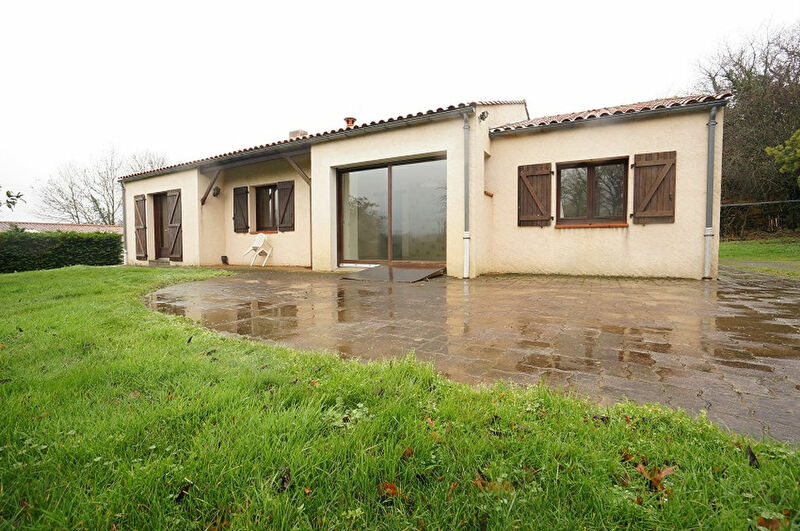 VERTOU MAISON DE PLAIN-PIED COMPRENANT: HALL, SALON SEJOUR AVEC CHEMINEE ET INSERT, GRANDE CUISINE, WC, 2 CHAMBRES, SDB, GRAND GARAGE ATTENANT POUVANT FAIRE UNE SUITE PARENTALE OU 2 AUTRES CHAMBRES. NON ATTENANT UNE GRANDE DEPENDANCE DE 150M² LE TOUT SUR 5000M² DE PARCELLE ENVIRON. TERRAIN NON DIVISIBLE EN ZONE AGRICOLE.